In the world today few things are free – even water, nature’s gift. Many of us are familiar with Rome’s famous fountains, but few seem to realize that the water coming from the fountains is not only free, but clean and drinkable. So when you’re in Rome be sure to take a sip from the waters of the Eternal City! These fountains are both beautiful and practical. 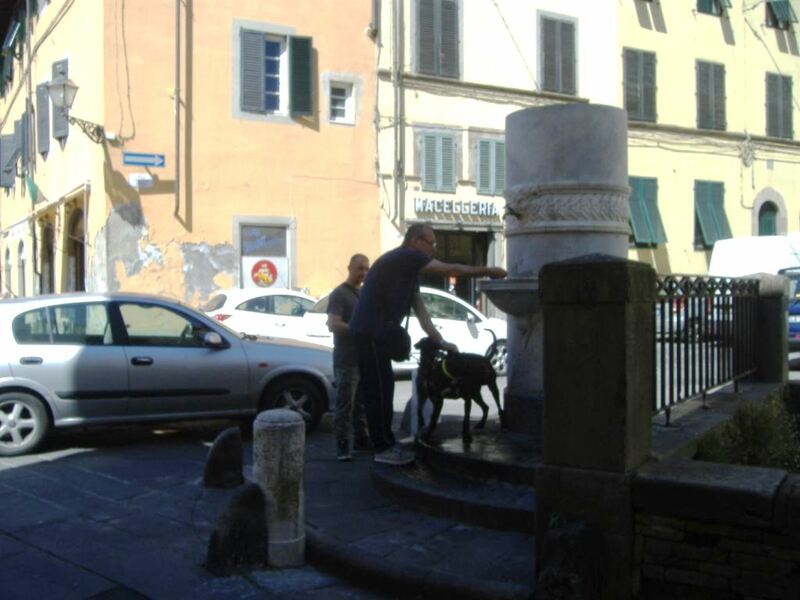 In modern-day Rome you can find approx 2500 public fountains which are called Nasoni (big noses). These fountains contain clean safe drinking water, the exact same that comes out of the taps in Rome’s houses etc. It always surprises me that a glass or carafe of water at any restaurant, café etc in Italy has a charge when I know there is always a water fountain close by with pure clean delicious water. I suppose that we are paying for the service. Thanks to the mountains, clean drinking water is abundant and relatively available across most regions. Ordinary tap water – even when supplied through the water grid – may not taste particularly nice. consequently, many people spend a small fortune buying bottled water. 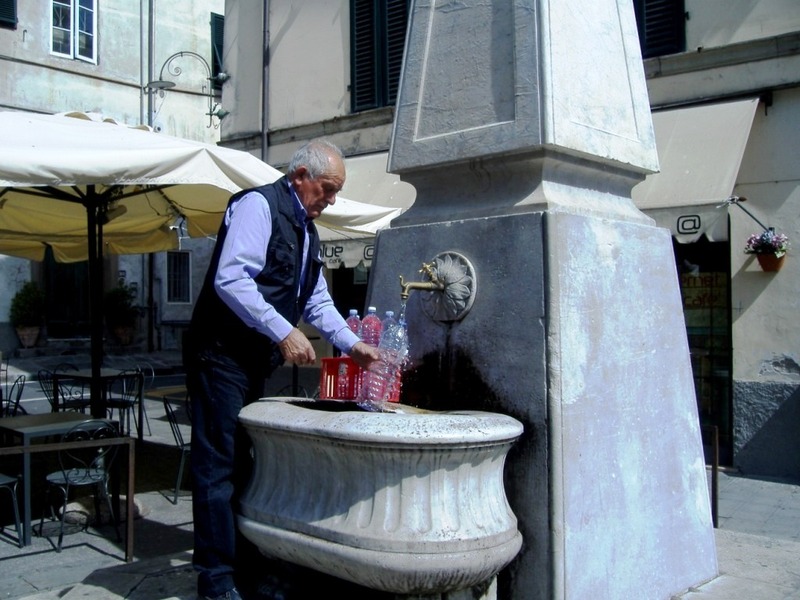 These public water fountains can be found in most towns and villages around Italy. The water in these fountains is clean and tasteless. You can easily stop to take a drink or fill up your water bottle. Drinking water in Italy is cool, safe and readily available everywhere. I have not actually taken water from the display fountains but I have indeed drank from and filled my water bottle many times from the actual drinking fountains.